Will you look at the size of that! Our friends at The Roark Group are at it again..this time even bigger! 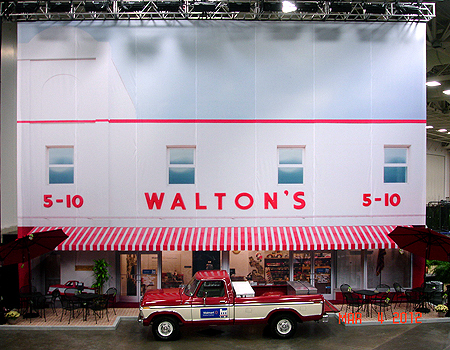 They commissioned us to photograph the original Walton 5 & 10 in Bentonville, AR to be printed on a 48×34 foot backdrop for a display. As seen, real brick sidewalks, tables, and Mr. Walton’s truck were added for dimension and scale. Pretty cool if you ask us. Thanks for providing us with a shot of the final set! Just received a bunch of stickers from Stickers That Stick . Great company: fast, affordable, and fantaSTICK products. From digital to screen print, die cuts to transfers, they gotcha covered. 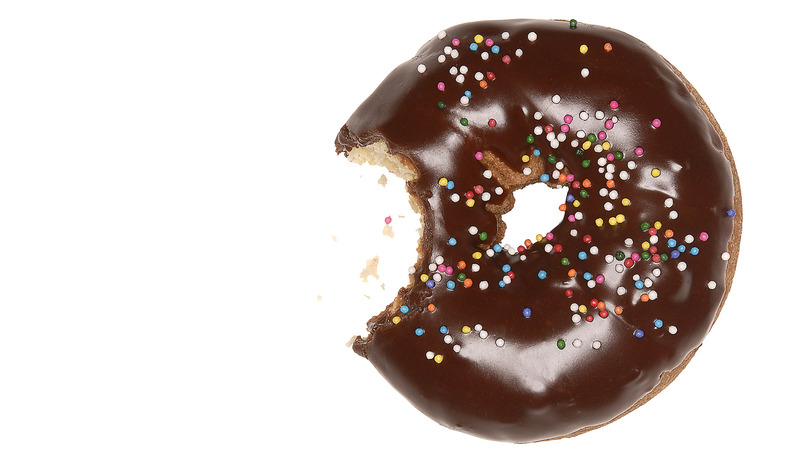 We have a TON – come and get ‘em! 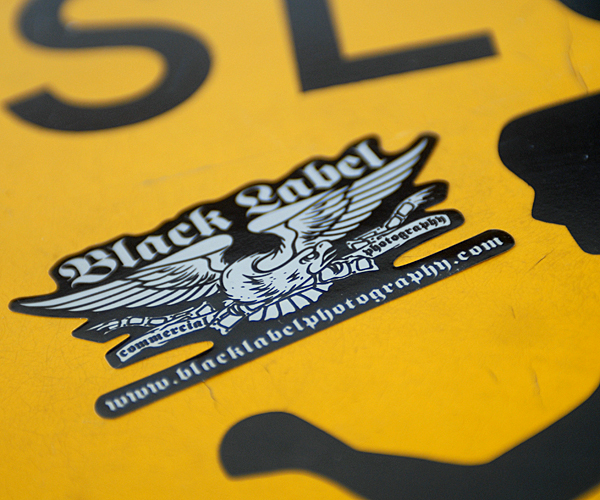 Black Label’s Believe it or Not! Hope everyone had a wonderful and safe holiday season! Welcome to 2012, it’s gonna be a winner. 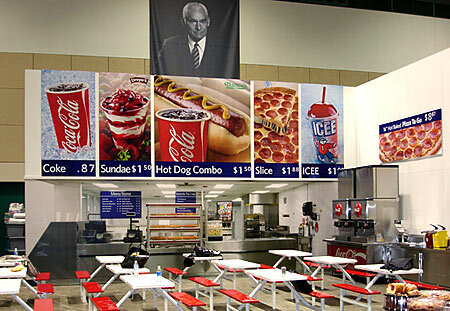 And speaking of winners, check out the Sam’s Club deli below. The wall in the back with the counter isn’t really a deli, but rather a large scale banner printed by the good people at The Roark Group. Sam’s Club wanted to illustrate where a new deli would be while it was under construction versus having a boarded off construction zone. We were hired to photograph the interior of an existing deli, which was then printed and hung as an attractive way to communicate what was ‘coming soon’. Great job guys!